Boao today greets us with vast ocean, high sky and warm breeze. In this beautiful season of spring, it is of great significance that so many distinguished guests gather here to discuss the development strategies for Asia and the world. At the outset, let me extend, on behalf of the Chinese government and people and in my own name, heartfelt welcome to all the distinguished guests attending the Boao Forum for Asia Annual Conference 2015, and my warm congratulations on the opening of the conference. The theme of this year’s conference is “Asia’s New Future: Towards a Community of Common Destiny”. The timing could not be better in that the theme has not only great immediate relevance but also long-term historical significance. And I am looking to all of you to express yourselves fully and contribute your insightful views to the cause of peace and development of Asia and beyond. There are certain historic occasions that are likely to remind people of what happened in the past and set people reflecting on them. This year marks the 70th anniversary of the end of the World Anti-Fascist War, the victory of the Chinese People’s War of Resistance Against Japanese Aggression and the founding of the United Nations. This year is also the 60th anniversary of the Bandung Conference and will witness the completion of the ASEAN Community. As such, it is an important year to be commemorated as well as a historic juncture to reflect on the past and look to the future. Over the past 70 years, the world has experienced profound changes as never before, making a difference to the destiny of mankind. With the days of global colonialism and the Cold War long gone, countries are now increasingly interconnected and interdependent. Peace, development and win-win cooperation have become the prevailing trend of our times. The international forces are shifting in a way that is more favorable to maintaining world peace. Countries are now in a better position to uphold general stability in the world and seek common development. Over the past 70 years, Asia has also gone through unprecedented changes. After gaining national independence, Asian countries took their destiny in their own hands and strengthened the force for regional and world peace. Asian countries were the first to advocate the Five Principles of Peaceful Co-existence and, together with African countries, put forward the Ten Principles on handling state-to-state relations at the Bandung Conference. Since the end of the Cold War, Asian countries have gradually come up with an Asian way of cooperation in the course of advancing regional cooperation, which features mutual respect, consensus-building and accommodation of each other’s comfort levels. All this has contributed to a proper approach to state-to-state relations and to progress in building a new type of international relations. Over the past 70 years, more and more Asian countries have found development paths that suit their own national conditions and embarked on a fast-track of economic growth. Having emerged from poverty and backwardness, they are on course to achieve development and prosperity. Regional and inter-regional cooperation is flourishing. Connectivity is pursued at a faster pace. As a result, there is a strong momentum in Asia with countries striving to outperform each other. Accounting for one third of the world economy, Asia is one of the most dynamic regions with the most potential and its global strategic importance has been rising. Over the past 70 years, Asian countries have gradually transcended their differences in ideology and social system. No longer cut off from each other, they are now open and inclusive, with suspicion and estrangement giving way to growing trust and appreciation. The interests of Asian countries have become intertwined, and a community of common destiny has increasingly taken shape. Be it the arduous struggle for national independence, or the difficult periods of the Asian financial crisis and the international financial crisis, or the hard time in the wake of devastating disasters including the Indian Ocean tsunami and earthquake in Wenchuan, China, the people of Asian countries have always come to those in need with a helping hand and worked together to overcome one challenge after another, demonstrating the power of unity in face of difficulties and the spirit of sharing weal and woe. This said, Asia still faces numerous challenges. Some are the old issues left over from history and others are new ones associated with current disputes. Asia is also confronted with various traditional and non-traditional security threats. Hence it remains an uphill battle for Asian countries to grow the economy, improve people’s livelihood and eliminate poverty. A review of the path traversed over the past 70 years shows that what has been accomplished in Asia today is attributable to the persistent efforts of several generations of people in Asian countries and to the hard work of many statesmen and people of great vision. Tomorrow, Singapore will hold a state funeral for Mr. Lee Kuan Yew. Mr. Lee was a strategist and statesman respected across the world for his outstanding contribution to the peace and development of Asia and the exchanges and cooperation between Asia and the world. I want to take this opportunity to pay high tribute to Mr. Lee Kuan Yew and all those who made contribution to Asia’s peace and development. Asia belongs to the world. For Asia to move towards a community of common destiny and embrace a new future, it has to follow the world trend and seek progress and development in tandem with that of the world. The international situation continues to experience profound and complex changes, with significant development in multipolarization and economic globalization. Cultural diversity and IT application are making constant progress while readjustment is accelerating in international landscape and order. Countries around the world are losing no time in adjusting their development strategies, pursuing transformation and innovation, changing their economic development models, improving economic structures and opening up new horizons for further development. At the same time, however, the world economy is still in a period of profound adjustment, with risks of low growth, low inflation and low demand interwoven with risks of high unemployment, high debt and high level of bubbles. The performance and policies of major economies continue to diverge, and uncertainties in the economic climate remain prominent. Geopolitical factors are more at play and local turmoils keep cropping up. Non-traditional security threats and global challenges including terrorism, cyber security, energy security, food security, climate change and major infectious diseases are on the rise, and the North-South gap is still wide. The noble cause of peace and development remains a long and arduous journey for mankind. We have only one planet, and countries share one world. To do well, Asia and the world could not do without each other. Facing the fast changing international and regional landscapes, we must see the whole picture, follow the trend of our times and jointly build a regional order that is more favorable to Asia and the world. We should, through efforts towards such a community for Asia, promote a community of common interest for all mankind. I wish to take this opportunity to share with you my thoughts on this vision. — To build a community of common destiny, we need to make sure that all countries respect one another and treat each other as equals. Countries may differ in size, strength or level of development, but they are all equal members of the international community with equal rights to participate in regional and international affairs. On matters that involve us all, we should discuss and look for a solution together. Being a big country means shouldering greater responsibilities for regional and world peace and development, as opposed to seeking greater monopoly over regional and world affairs. To respect one another and treat each other as equals, countries need to, first and foremost, respect other countries’ social systems and development paths of their own choice, respect each other’s core interests and major concerns and have objective and rational perception of other countries’ growing strength, policies and visions. Efforts should be made to seek common ground while shelving differences, and better still to increase common interests and dissolve differences. The hard-won peace and stability in Asia and the sound momentum for development should be upheld by all. All of us must oppose interference in other countries’ internal affairs and reject attempts to destablize the region out of selfish motives. — To build a community of common destiny, we need to seek win-win cooperation and common development. Our friends in Southeast Asia say that the lotus flowers grow taller as the water rises. Our friends in Africa say that if you want to go fast, walk alone; and if you want to go far, walk together. Our friends in Europe say that a single tree cannot block the chilly wind. And Chinese people say that when big rivers have water, the small ones are filled; and when small rivers have water, the big ones are filled. All these sayings speak to one same truth, that is, only through win-win cooperation can we make big and sustainable achievements that are beneficial to all. The old mindset of zero-sum game should give way to a new approach of win-win and all-win cooperation. The interests of others must be accommodated while pursuing one’s own interests, and common development must be promoted while seeking one’s own development. The vision of win-win cooperation not only applies to the economic field, but also to the political, security, cultural and many other fields. It not only applies to countries within the region, but also to cooperation with countries from outside the region. We should enhance coordination of macroeconomic policies to prevent negative spill-over effects that may arise from economic policy changes in individual economies. We should actively promote reform of global economic governance, uphold an open world economy, and jointly respond to risks and challenges in the world economy. China and ASEAN countries will join hands in building an even closer China-ASEAN community of common destiny. The building of an East Asia economic community for ASEAN, China, Japan and ROK will be completed in 2020. We should actively build a free trade cooperation network in Asia and strive to conclude negotiations on an upgraded China-ASEAN FTA and on Regional Comprehensive Economic Partnership (RCEP) in 2015. In advancing economic integration in Asia, we need to stay committed to open regionalism and move forward trans-regional cooperation, including APEC, in a coordinated manner. We will vigorously promote a system of regional financial cooperation, explore a platform for exchanges and cooperation among Asian financial institutions, and advance complementary and coordinated development between the Asian Infrastructure Investment Bank (AIIB) and such multilateral financial institutions as the Asian Development Bank and the World Bank. We will strengthen practical cooperation in currency stability, investment and financing, and credit rating, make progress in institution building for the Chiang Mai Initiative Multilateralization and build a regional financial security network. We will work towards an energy and resources cooperation mechanism in Asia to ensure energy and resources security. 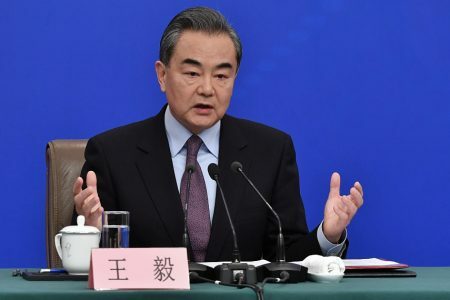 China proposes that plans be formulated regarding connectivity building in East Asia and Asia at large to advance full integration in infrastructure, policies and institutions and personnel flow. We may increase maritime connectivity, speed up institution building for marine cooperation in Asia, and step up cooperation in marine economy, environmental protection, disaster management and fishery. This way, we could turn the seas of Asia into seas of peace, friendship and cooperation for Asian countries. — To build a community of common destiny, we need to pursue common, comprehensive, cooperative and sustainable security. In today’s world, security means much more than before and its implications go well beyond a single region or time frame. All sorts of factors could have a bearing on a country’s security. As people of all countries share common destiny and become increasingly interdependent, no country could have its own security ensured without the security of other countries or of the wider world. The Cold War mentality should truly be discarded and new security concepts be nurtured as we explore a path for Asia that ensures security for all, by all and of all. We believe that countries are all entitled to take an equal part in regional security affairs and all are obliged to work to ensure security for the region. The legitimate security concerns of each country need to be respected and addressed. At the same time, in handling security issues in Asia, it is important to bear in mind both the history and reality of Asia, take a multi-pronged and holistic approach, improve coordinated regional security governance, and safeguard security in both the traditional and non-traditional realms. It is important to conduct dialogue and cooperation to enhance security at national and regional levels, and to increase cooperation as the way to safeguard peace and security. It is important to resolve disputes through peaceful means, and oppose the willful use or threat of force. Security should be given equal emphasis as development, and sustainable development surely provides a way to sustainable security. 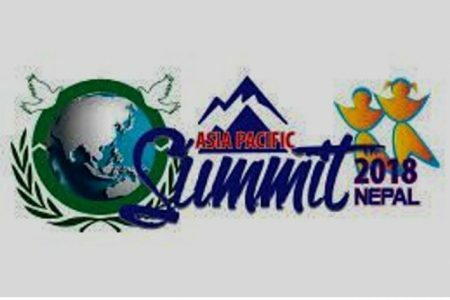 Countries in Asia need to step up cooperation with countries and organizations outside the region and all parties are welcome to play a positive and constructive role in upholding development and security in Asia. — To build a community of common destiny, we need to ensure inclusiveness and mutual learning among civilizations. History, over the past millennia, has witnessed ancient civilizations appear and thrive along the Yellow and Yangtze Rivers, the Indus, the Ganges, the Euphrates, and the Tigris River as well as in Southeast Asia, each adding its own splendour to the progress of human civilization. Today, Asia has proudly maintained its distinct diversity and still nurtures all the civilizations, ethnic groups and religions in this big Asian family. Mencius, the great philosopher in ancient China, said, “Things are born to be different.” Civilizations are only unique, and no one is superior to the other. There need to be more exchange and dialogue among civilizations and development models, so that each could draw on the strength of the other and all could thrive and prosper by way of mutual learning and common development. Let us promote inter-civilization exchanges to build bridges of friendship for our people, drive human development and safeguard peace of the world. China proposes that a conference of dialogue among Asian civilizations be held to provide a platform upon which to enhance interactions among the youth, people’s groups, local communities and the media and to form a network of think-tank cooperation, so as to add to Asian people’s rich cultural life and contribute to more vibrant regional cooperation and development. Right now, the Chinese people are working in unison under the strategic plans to complete the building of a moderately prosperous society in all respects, and to comprehensively deepen reform, advance law-based governance, and enforce strict Party conduct. Our objective is to realize the “two centenary” goals for China’s development and for realizing the Chinese dream of great national rejuvenation. I wish to use this opportunity to reaffirm China’s commitment to the path of peaceful development, and to promoting cooperation and common development in the Asia-Pacific. China will be firm in its determination and resolve and all its policies will be designed to achieve such a purpose. Now, the Chinese economy has entered a state of new normal. It is shifting gear from high speed to medium-to-high speed growth, from an extensive model that emphasized scale and speed to a more intensive one emphasizing quality and efficiency, and from being driven by investment in production factors to being driven by innovation. China’s economy grew by 7.4% in 2014, with 7% increase in labor productivity and 4.8% decrease in energy intensity. The share of domestic consumption in GDP rose, the services sector expanded at a faster pace, and the economy’s efficiency and quality continued to improve. When looking at China’s economy, one should not focus on growth rate only. As the economy continues to grow in size, around 7% growth would be quite impressive, and the momentum it generates would be larger than growth at double digits in previous years. It is fair to say that the Chinese economy is highly resilient and has much potential, which gives us enough room to leverage a host of policy tools. Having said that, China will continue to be responsive to the new trend and take initiatives to shape the new normal in our favor. We will focus on improving quality and efficiency, and give even greater priority to shifting the growth model and adjusting the structure of development. We will make more solid efforts to boost economic development and deepen reform and opening-up. We will take more initiatives to unleash the creativity and ingenuity of the people, be more effective in safeguarding equity and social justice, raise people’s living standards and make sure that China’s economic and social development are both sound and stable. This new normal of the Chinese economy will continue to bring more opportunities of trade, growth, investment and cooperation for other countries in Asia and beyond. In the coming five years, China will import more than US$10 trillion of goods, Chinese investment abroad will exceed US$500 billion, and more than 500 million outbound visits will be made by Chinese tourists. China will stick to its basic state policy of opening up, improve its investment climate, and protect the lawful rights and interests of investors. I believe that together, the people of Asian countries could drive this train of Asia’s development to take Asia to an even brighter future. What China needs most is a harmonious and stable domestic environment and a peaceful and tranquil international environment. Turbulence or war runs against the fundamental interests of the Chinese people. The Chinese nation loves peace and has, since ancient times, held high such philosophies that “harmony is the most valuable”, “peace and harmony should prevail” and “all men under heaven are brothers”. China has suffered from turbulence and war for more than a century since modern times, and the Chinese people would never want to inflict the same tragedy on other countries or peoples. History has taught us that no country who tried to achieve its goal with force ever succeeded. China will be steadfast in pursuing the independent foreign policy of peace, the path of peaceful development, the win-win strategy of opening-up, and the approach of upholding justice while pursuing shared interests. China will work to promote a new type of international relations of win-win cooperation and will always remain a staunch force for world peace and common development. Close neighbors are better than distant relatives. This is a simple truth that the Chinese people got to know in ancient times. That explains China’s firm commitment to building friendship and partnership with its neighbors to foster an amicable, secure and prosperous neighborhood. Under the principle of amity, sincerity, mutual benefit and inclusiveness, China is working actively to deepen win-win cooperation and connectivity with its neighbors to bring them even more benefit with its own development. China has signed treaties of good-neighborliness, friendship and cooperation with eight of its neighbors and is holding discussion to sign a same treaty with ASEAN. China stands ready to sigh such a treaty with all its neighbors to provide strong support for the development of bilateral relations as well as prosperity and stability in the region. In 2013, during my visit to Kazakhstan and Indonesia, I put forward the initiatives of building a Silk Road economic belt and a 21st century maritime Silk Road. The “Belt and Road” initiative, meeting the development needs of China, countries along the routes and the region at large, will serve the common interests of relevant parties and answer the call of our time for regional and global cooperation. In promoting this initiative, China will follow the principle of wide consultation, joint contribution and shared benefits. The programs of development will be open and inclusive, not exclusive. They will be a real chorus comprising all countries along the routes, not a solo for China itself. To develop the Belt and Road is not to replace existing mechanisms or initiatives for regional cooperation. Much to the contrary, we will build on the existing basis to help countries align their development strategies and form complementarity. Currently, more than 60 countries along the routes and international organizations have shown interest in taking part in the development of the Belt and the Road. The “Belt and Road” and the AIIB are both open initiatives. We welcome all countries along the routes and in Asia, as well as our friends and partners around the world, to take an active part in these endeavors. The “Belt and Road” initiative is not meant as rhetoric. It represents real work that could be seen and felt to bring real benefits to countries in the region. Thanks to the concerted efforts of relevant parties, the vision and action paper of the initiative has been developed. Substantive progress has been made in the establishment of the AIIB. The Silk Road Fund has been launched, and constructions of a number of infrastructure connectivity projects are moving forward. These early harvests have truly pointed to the broad prospects the “Belt and Road” initiative will bring. The cause of peace and development of mankind is as lofty as its is challenging. The journey ahead will not be smooth sailing, and success may not come easily. No matter how long and difficult the journey may be, those who work together and never give up will eventually prevail. I believe that as long as we keep to our goals and make hard efforts, we will together bring about a community of common destiny and usher in a new future for Asia. I wish the Annual Conference a complete success.